Susan Irving is an industry leader with a passion for brands and a reputation for delivering business results through strategic integrated marketing campaigns. Now, as Senior Director of Marketing, PepsiCo Global Snacks Group, Susan is responsible for developing and driving a cohesive, fully integrated global marketing agenda for Doritos, Cheetos and Sunbites, three of the company’s billion dollar brands. Before joining PepsiCo’s Global Snacks Group, Susan spent more than a decade at PepsiCo Canada. In her most recent role as Senior Director of Marketing for the Frito-Lay Portfolio at PepsiCo Foods Canada, Susan led a team of passionate marketers in creating successful campaigns that drove profitable growth for brands including Cheetos, Doritos, Lay’s, Ruffles and Tostitos. Susan is a Senior Executive with nearly two decades of business experience spanning all aspects of consumer marketing including brand strategy; advertising and communications; P&L management; cross functional team leadership; media planning: digital; social media; innovation; public and corporate communications; sports and event marketing and consumer insights. 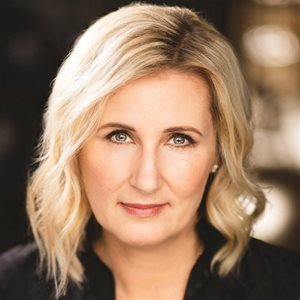 Susan is known for her leadership and collaborative approach of working with teams to deliver breakthrough, insight-driven consumer campaigns and programs that deliver growth. Susan is also very active in her community. She holds a board position as the VP GTHL with the Leaside Hockey Association; a judge for the Globe and Mail’s Young Marketers Competition and the CMAs; a key note speaker for several North American Conferences and is an active supporter of TenThousandCoffees.com – a program dedicated to connecting today’s experts with tomorrow’s trail blazers. Susan lives in Toronto, Canada with her husband Todd and their two sons. An avid athlete, Susan was a member of the Canadian Sailing Team, having campaigned for the 1992 and 1996 Summer Olympics. In her spare time you can find her on a sail boat or a ski hill or supporting her boys and their family’s passion for competitive sport whether it’s at a hockey rink, a road race or on the soccer field.